My first Friday photo for 2014 is of All Saints Mental Asylum -often called Winson Green Asylum. 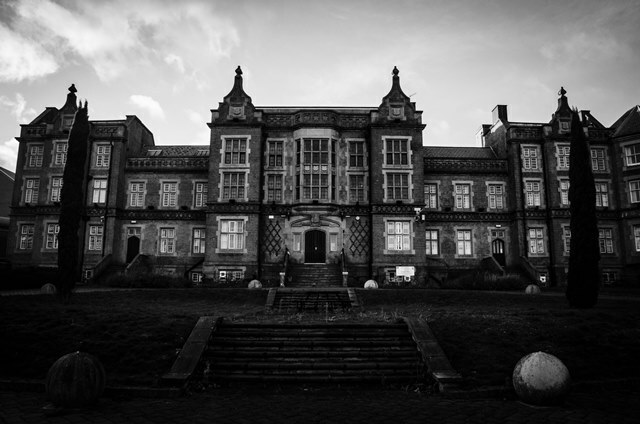 It was opened in 1845 in response to new laws requiring provision of asylums to house the so called poor lunatics. The Asylum was run by the Birmingham Lunatic Asylum Committee in 1845 to 1948 and then it was run as an NHS services 2001. My parents Matthew Hirst Spencer and Matilda Spencer (nee Lister) served on the staff of All Saints before the 1940s and into the 1950s/60s/and 70s. They met at the hospital and were married in B’ham in 1940. Matilda gave up full-time nursing, retiring as a ward sister, in 1947 when the children came along. Matthew served in the RAF as a nurse during the war and returned to nurse at All Saints afterwards, rising to become Deputy Chief Male Nurse. He remained at All Saints until his death, aged 59yrs, in 1975. Does anyone know of these two nurses or can tell me where I can search for staff records at the hospital? Your help would be gratefully received as the family are marking 100yrs this year since the birth of both Matthew and Matilda and I am trying to compile details of their lives. My great grandfather Samuel Lamb was an inmate here from 1912 although I’m unable to find out when he was discharged. It’s such a grand building.